HAS BEEN SPENT ON TRUMP SURGERY SO FAR... DO YOUR PART AND CAST YOUR VOTE! Want Trump? Play Surgeon Simulator NOW! Love him or hate him, you cannot ignore him, and now, you get to operate on him. Inspired by this year’s most talked about political event, we invite you to cast your vote in our Surgeon Simulator on Steam. Make your choice, Donald Trump: stone-hearted villain, or gold-hearted hero? Adults React to Donald Trump! Our Polish chum plays Inside Donald Trump! DashieGames - I BROKE THIS MODAPH#%KAS NECK! Daithi De Nogla - MAKE DONALD TRUMP GREAT AGAIN! CaptainSparklez - DONALD TRUMP: HERO OR VILLAIN? 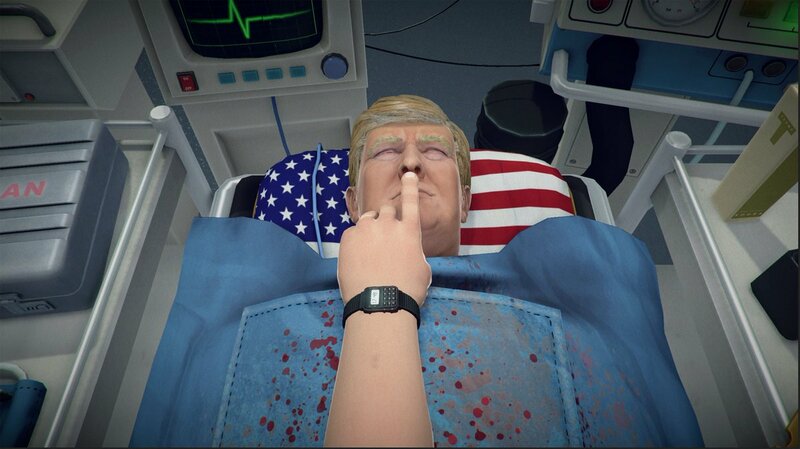 Surgeon Simulator including Trump Heart Transplant Available Now!